Like most people in the 21st century, I rarely go into Best Buy anymore, unless I need to pick up a router or a gift at the last minute or something. But last month, I found myself in a Best Buy cruising past a Chromebook display at the end of an aisle, and I found myself drawn to it. 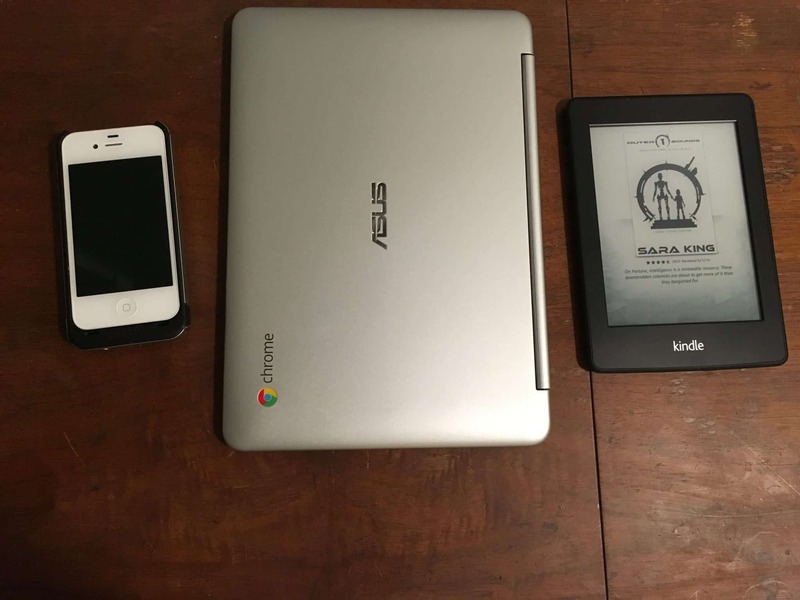 I bought my last laptop four years ago–a refurb ASUS U56E, a $500 Core i5 Windows laptop that has been my main computer ever since. Don’t get me wrong; I really like buying computers–this one just hasn’t crapped out on me yet. I wasn’t even in the market for a new laptop, let alone a Chromebook. 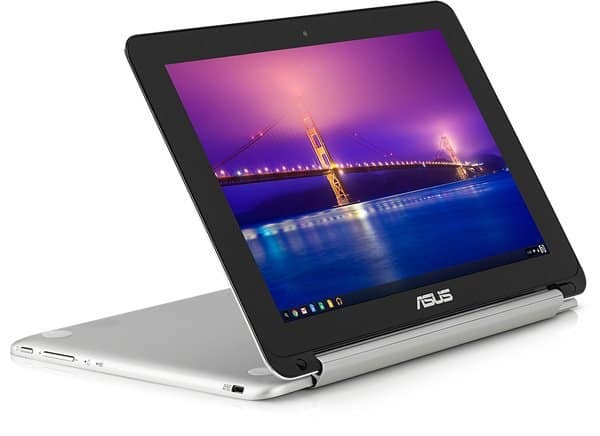 But two days later, I found myself with the ASUS Chromebook Flip in my Amazon shopping cart. I have precisely zero regrets about the purchase. Form factor. This is what grabbed my attention at Best Buy. It’s a beautiful machine, with a bright, responsive touchscreen and a unibody aluminum chassis. Its 360° hinge converts it seamlessly into a tablet or a little Netflix tent. All that and it weighs less than 2 pounds and is just over half an inch thick. You get 2 USB ports, a micro-HDMI port, and a card reader, too. Battery life. The ads boast a 9-hour battery life. I haven’t had the opportunity to use it for that long continuously, but I will say that several days go by where I don’t charge it and I’ve never come close to running flat during casual use. Price. I snagged this model from Amazon for $239.00 with free shipping. If that’s all you need to know, then go check it out on Amazon or the Google Play Store. If you want more details from me, read on. First, I want to establish that I am not reviewing Chrome OS. 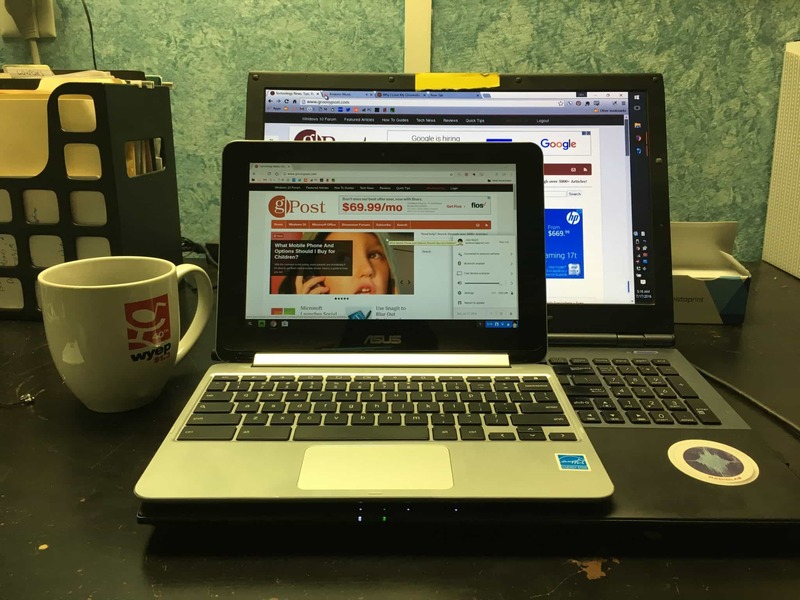 For that, I suggest you read Dave Greenbaum’s post: Why I Love My Chromebook (and You Should Too). As Dave puts it, a Chromebook is like having a bike in addition to your car. For short trips, having a lightweight vehicle that puts a minimal amount of machine between you and the world is much more enjoyable. For me, I was already sold on the idea of Chrome OS. I knew I wanted a Chromebook, and I was not torn in the slightest about getting a laptop without Windows on it. In fact, the lack of Windows is a feature for me, not a limitation. All the files that matter to me are in my Google account, Dropbox, or on my network attached storage drive in my basement. It doesn’t usually matter if I’m on my work computer, a friend’s computer, or my computer, once I log into Google, I’m essentially home. This is why a Chromebook makes sense for me as a secondary laptop. As a laptop, the ASUS Chromebook Flip performs well. Keep in mind that this is a 10-inch Chromebook, so it’s going to be a little tight. But I find myself able to type and use the touchpad fairly comfortably. I am writing this review using my Flip, in fact. The touchpad has no dedicated buttons. The whole thing pushes down with a satisfying click for a left-click (or you can just lightly tap). To right-click, you do a two finger tap, which took a little getting used to for me, but I’m actually surprised by how rarely you have to right-click in Chrome OS. There are dedicated volume buttons on the side and the keyboard. As a tablet, the Flip is fun, but don’t kid yourself: it’s not an iPad. The touchscreen is responsive enough, but Chrome OS isn’t as touch-friendly as iOS or full-blown Android. Navigating pages, scrolling pages, and going back or forward is very seamless. Gaming is OK, but you’d probably want something with a little more power for the major ones. Angry Birds and Cut the Rope pass muster with my five year old, though. The Flip has a good awareness of its orientation, flipping from landscape to portrait or inverting without having to shake it like an Etch-a-Sketch. The keyboard automatically disables in tablet mode to prevent inadvertent input. I enjoy reading web pages and ebooks in portrait mode–quite a few lines of text fit on the page, and it almost feels like I am reading a newspaper. The speakers are on the bottom, and honestly, they are a little weak. For some movies, I had to put the thing right on my chest at full blast (aka personal iMax mode) to hear every word of dialogue. That’s par for the course in the tiny laptop world, though, and if you are in public or with friends, you’re going to use headphones or stream to a speaker or TV using Bluetooth or Chromecast. I will say that one noticeable shortcoming of this Chromebook is its screen resolution. I never thought I cared about pixels, but I had some difficulty reading a graphic novel with a page zoomed to fit the screen. Zooming in is fine, but it feels more like you’re on a computer when you have to do that, and less like you’re holding the page in your hand. The bezel is pretty chunky. Would I like for the display to be as crystal clear as an iPad retina display? Of course. Would I pay hundreds of more dollars to get it? Maybe, but probably not. Make no mistake: This is no Chromebook Pixel. You can have multiple tabs open; you can stream music from Amazon Cloud Player while editing a Google Doc. But if you are watching Netflix or trying to play a game, you’re going to want to close everything else. The Flip comes with a 2 GB and a 4 GB configuration. I have the 4 GB version, and I would not recommend the 2 GB model. That being said, the speed and power are sufficient. 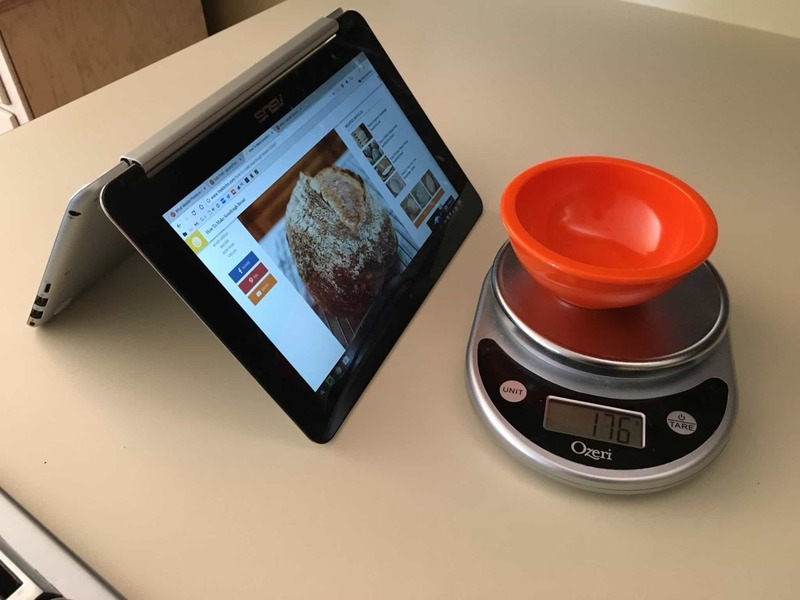 If you are using it as a tablet, you’re only doing one thing at a time anyway. If you want to do some really heavy processing, then go fire up your main computer. I don’t know much more about the 1.8 GHz Rockchip processor than you can find out by Googling, but the takeaway is that it’s a speedy mobile platform processor that runs cool and is easy on the battery life. The ASUS Chromebook Flip is fanless and has an epic battery life, things which might not be possible with an Intel Core i5 or Core i7. The Flip’s cool runnings in spite of its speed and lack of a fan are not to be overlooked. I didn’t realize how annoying the heat and fan noise from my laptop was until I started using this ninja-like Flip. 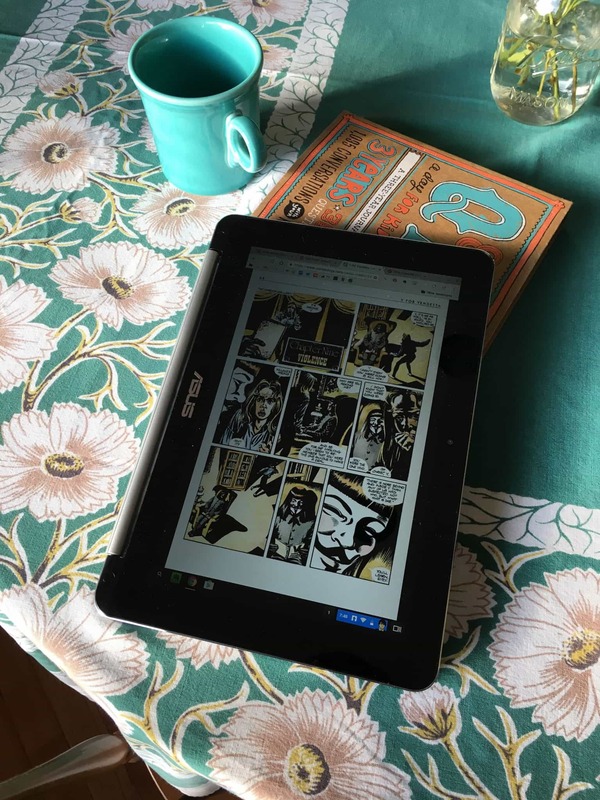 Okay, I said this wasn’t going to be a review of Chrome OS, but I’m going to mention one thing: the ASUS Chromebook Flip does support Android apps. 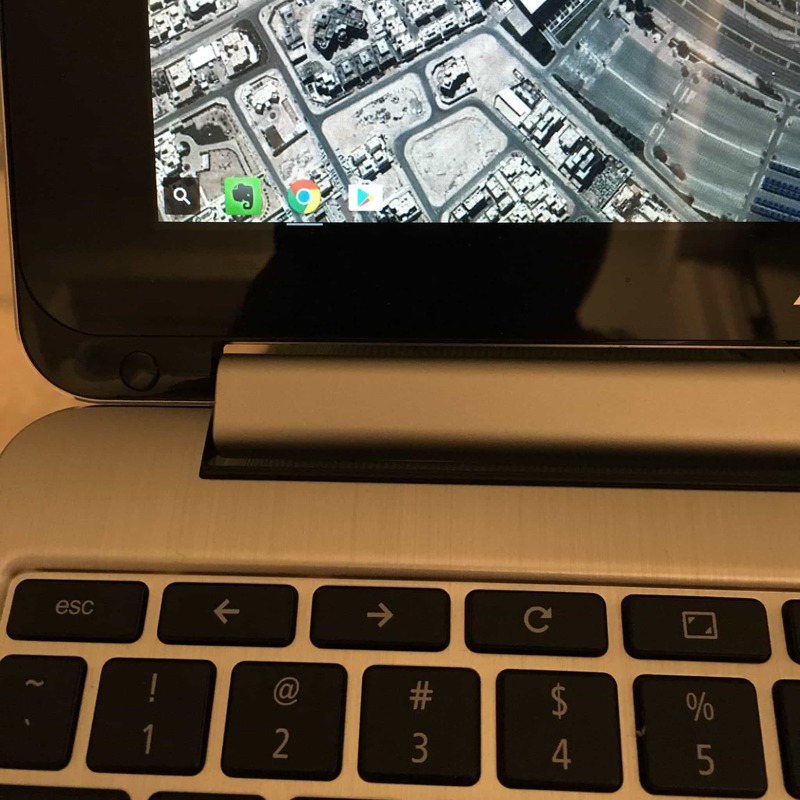 Not all Chromebooks can do this, as we reported earlier this year. And truthfully, if Android support is a selling point for you right now, don’t bank on it for the Flip. Yes, if you switch Chrome OS to the Dev Channel, then you can access the Google Play store. But the apps I’ve tried so far–like Netflix, Youtube, Evernote, Google Docs, and a few games–are so glitchy that I went running back to the web version. Really, I do practically everything in the Chrome browser and rarely use the Chrome Web Store or the Google Play store. Maybe it’s too early to judge. I did hop on the development channel pretty much the moment they unleashed Android app support for the Flip. And you really can’t complain about something that is very much in the experimental phases. I expect that the Google Play store will get more stable in the coming months. But right now, I’d say it’s unusable–the screen doesn’t size right, apps freeze or crash, etc. This ASUS Chromebook Flip will be the third ASUS laptop I’ve purchased and the first Chromebook I’ve owned. I really enjoy it. It’s fun to use, it turns on and reboots quickly, it’s extremely portable, and it’s surprisingly spacious to type and work on for a 10-inch laptop. It’s certainly not as powerful as a laptop you could get for $350 or $450, but Chrome OS is so lightweight that you don’t need that much power. If you want a Chromebook and you’re already a moderate to heavy Google user, I highly recommend the ASUS Chromebook Flip.